Santa arrived in the Olive Twp. Fire Department Rescue Boat as part of the parade on Sunday in Reedsville. The Olive Twp. 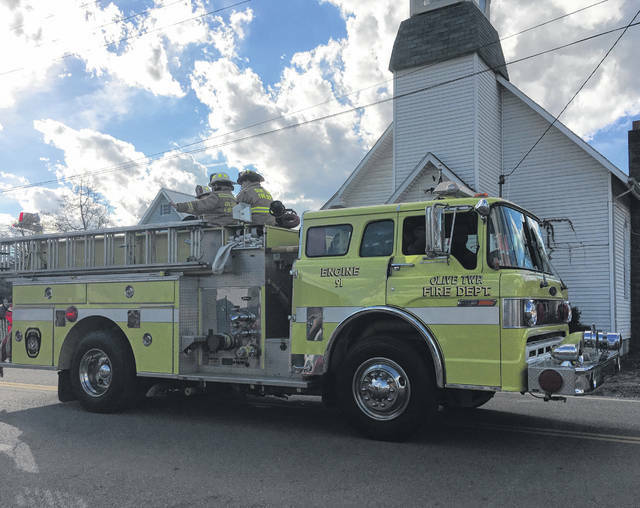 Fire Department organized the first Reedsville community Christmas parade. 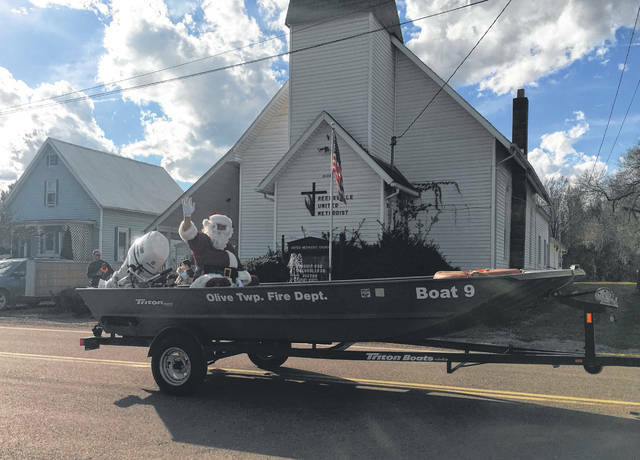 REEDSVILLE — Santa rode into Reedsville on the Olive Township Volunteer Fire Department’s rescue boat in the Christmas parade on Sunday. The township’s fire department hosted the first Christmas parade for the community. They also offered refreshments after the parade at the fire station. Some of the participants from the parade included Reedsville Church of Christ, Olive Township Volunteer Fire Department, Coolville Volunteer Fire Department, Chester Volunteer Fire Department, Transitions Health Care, Lakeside Bait & Tackle, and the 2018 Meigs County Fair Royalty, along with several others. A tree lighting ceremony for the village was scheduled for Monday evening at 6:30 p.m. at the Belleville Locks and Dam. https://www.mydailysentinel.com/wp-content/uploads/sites/14/2018/12/web1_12.4-Reedsville-1_ne201812313629200.jpgSanta arrived in the Olive Twp. Fire Department Rescue Boat as part of the parade on Sunday in Reedsville. https://www.mydailysentinel.com/wp-content/uploads/sites/14/2018/12/web1_12.4-Reedsville-2_ne201812313633143.jpgThe Olive Twp. Fire Department organized the first Reedsville community Christmas parade. Kayla Hawthorne is a freelance writer for The Daily Sentinel.